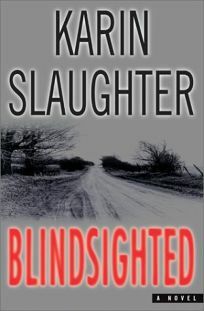 On this date, in 2001, Karin Slaughter went from a promising name to a bonafide force to be reckoned with in the crime genre. Karin, prior to releasing Blindsighted, was the next big thing, in addition to signing a major deal stateside, but also secured distribution rights in a number of European countries. Fortunately, her novel was no mere flash in the pan and wowed readers around the world. Sara’s ex-husband, police chief Jeffrey Tolliver, leads the investigation—a trail of terror that grows increasingly macabre when another local woman is found crucified a few days later. But he’s got more than a sadistic serial killer on his hands, for the county’s sole female detective, Lena Adams—the first victim’s sister—want to serve her own justice. For me, the most impressive thing about BLINDSIGHTED was Karin’s ability to devastate readers without racking up an excessive body count. Her writing skills delivered brutal body blows that lesser skilled writers needed several books to deliver. My introduction to Karin has nothing to do with her books, I first met her at Bouchercon, in 1999. She was a recently signed author getting to know the scene. We spent many hours talking and, even before reading a word, I know she was someone special. Since then, Karin has gone on to pen over 20 novels and sell over 30 million books worldwide.